I did my first heat transfer vinyl project last week- an easy heart onesie. Prior to that, I had been nervous about using heat transfer vinyl, but I have no idea why. Now that I have a few projects under my belt, I can confess that it is so simple. 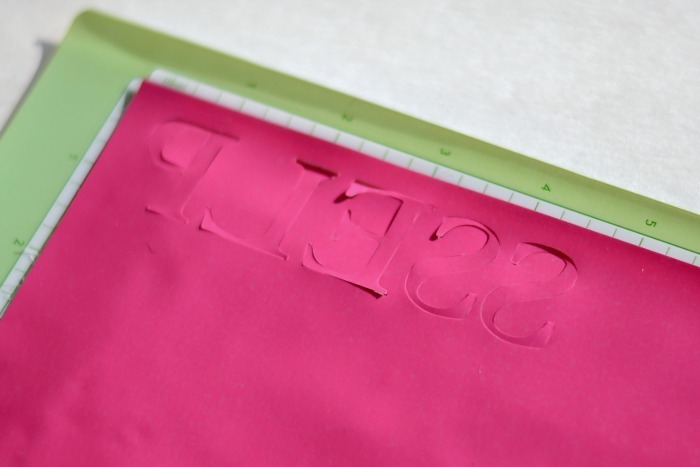 And for busy moms wanting to DIY on the fast and cheap, heat transfer vinyl needs to be in the craft room. I’m now scouring for materials to apply heat transfer vinyl. 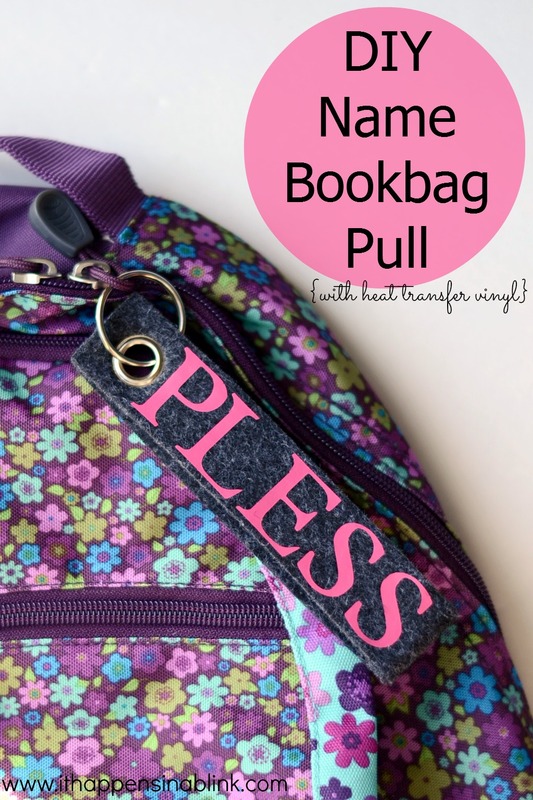 A DIY Name Bookbag Pull is the next item on the list. I made this for a friend’s sweet new little adopted girl. She recently “officially” got her new last name, so I made this in honor of that. Cut the last name with the heat transfer vinyl. Measure the bookbag pull so that the size letters that you cut fit on the pull. I used my Plantin Schoolbook Cricut cartridge. Be sure to “flip” the letters so that the heat transfer side is going to be against the material. To make sure the letters lined up correctly, I applied one at a time. 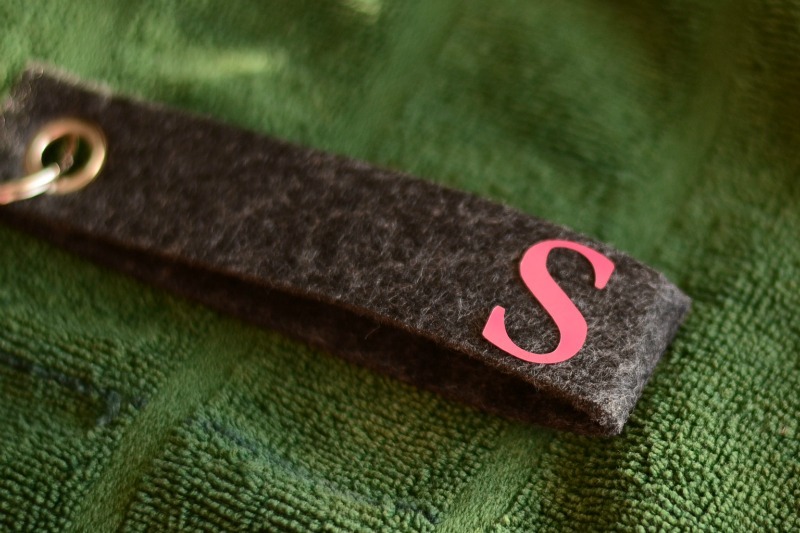 Place one letter on the pull and cover it with a piece of fabric. 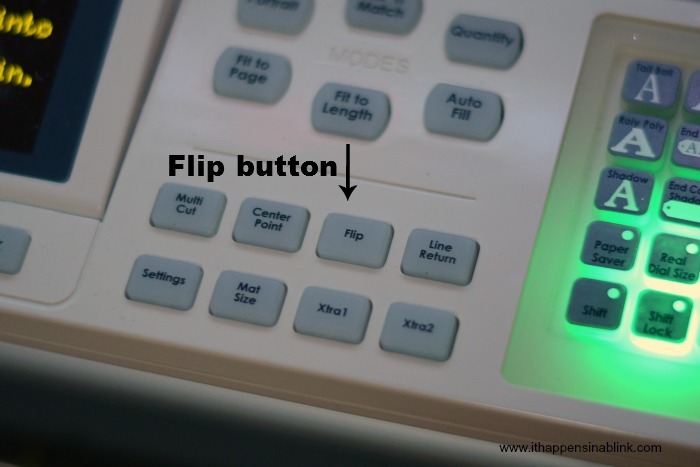 Press iron over it for 60 seconds. Continue this with the remaining letters. Once all the letters are applied, peel off the plastic over each letter. This is a great idea! I really like the pull, and I wonder if I could make one with some spare fabric. I’m sure that you could! I have only done one heat transfer and again it was so easy, wondering why i do not make more! HA HA. love that you were blessing your friends little with a keepsake of her new last name! Confession: I am a personalization junkie! Everything from gym bags to notepads. 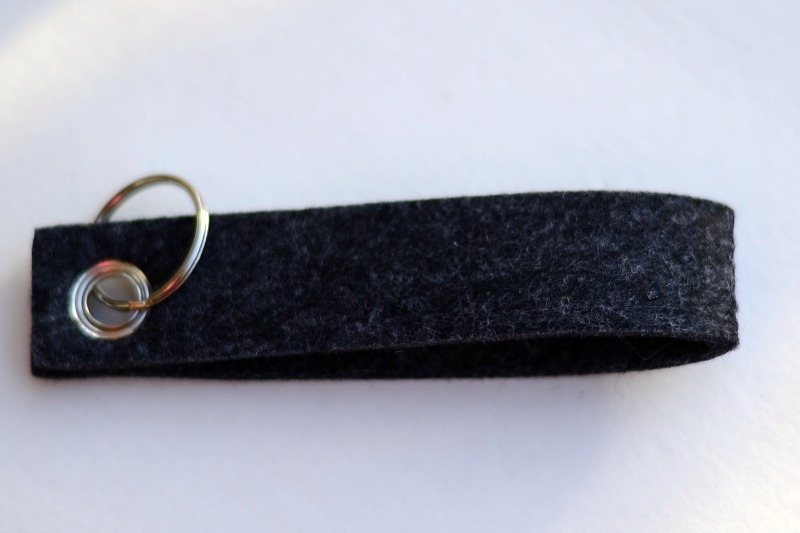 Love this idea bc I can do it on a keyfob or something similar and move it back and forth between items and them still be ideal to donate later. Oh, wow, you made working with heat transfer vinyl look so easy! I just might have to add it to my crafting hoard, er, crafting skill set. 😉 The book bag pull is so cute and I am sure that it is special memento to the little girl. This is such a fun idea. I like it a whole lot better than having a backpack embroidered with a name, since often kids wind up wishing it wasn’t there in a few years. This pull is pretty AND removable. Love! Pinning away. I thought the same thing! I also know some parents don’t want their kids’ names on their bookbags for safety reasons, so this is a good alternative. Can I confess I have heat transfer vinyl and haven’t used it yet? I haven’t taken the time to “figure it out” and why in the world am I waiting! Looks pretty simple! It surprised me at how simple that it was. Can’t wait to see what you whip up! Melanie, I recently ordered some iron-on vinyl and can’t wait to try making something like this! Thanks for inspiring me today!